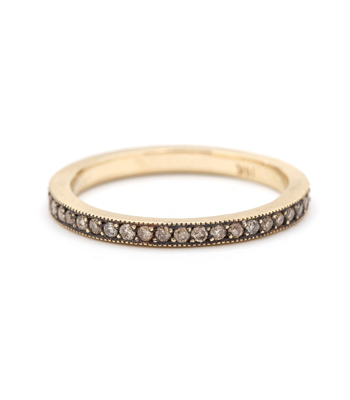 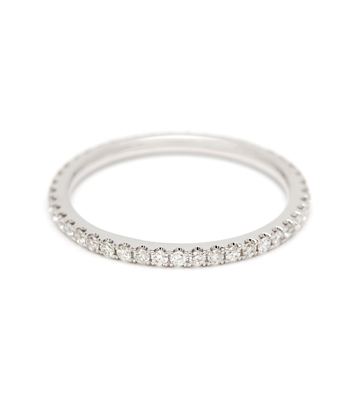 An exquisite blend of rough and refined elements, this three row band is set with perfectly imperfect old mine cut diamonds is the epitome of antique stacking rings. 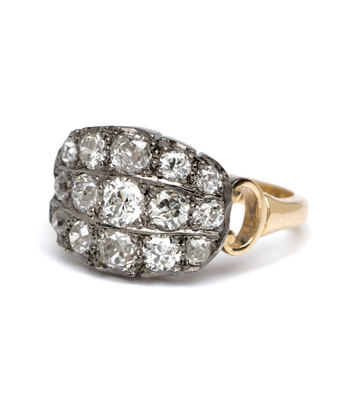 Blackened silver contrasts against the mesmerizing sparkle of slightly asymmetric cushion shaped Old Mine cut diamonds. 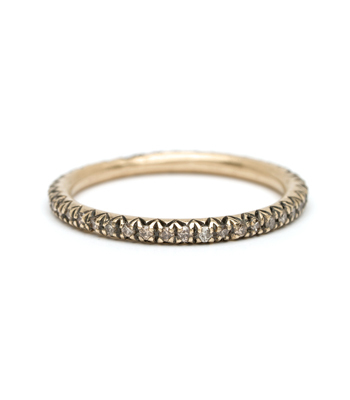 A slender 18K yellow gold meets up to this ring’s sparkly top with a buckle shaped connection, giving this solid band a touch of openwork and lightness. 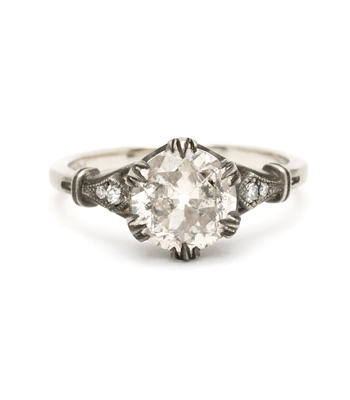 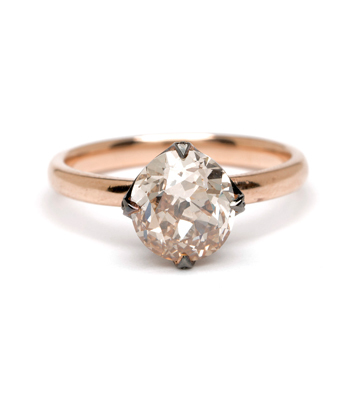 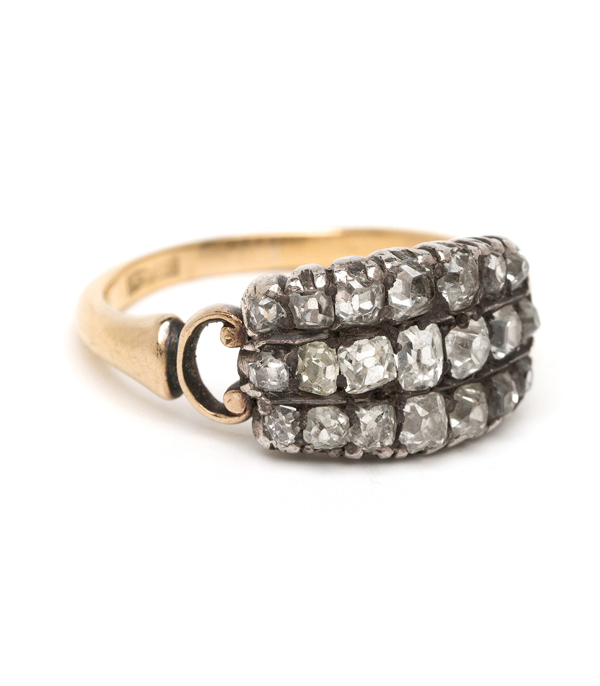 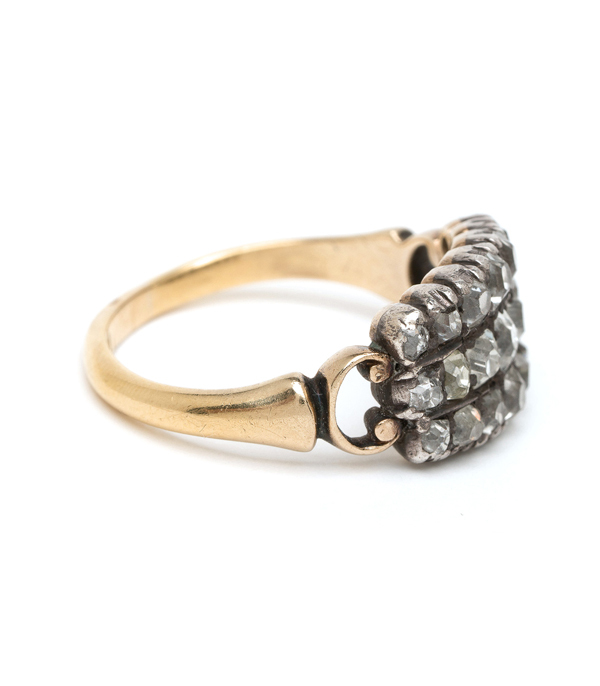 A beautiful Vintage Engagement Ring, c. 1830, every bit as interesting and statement making today as in yesteryear! 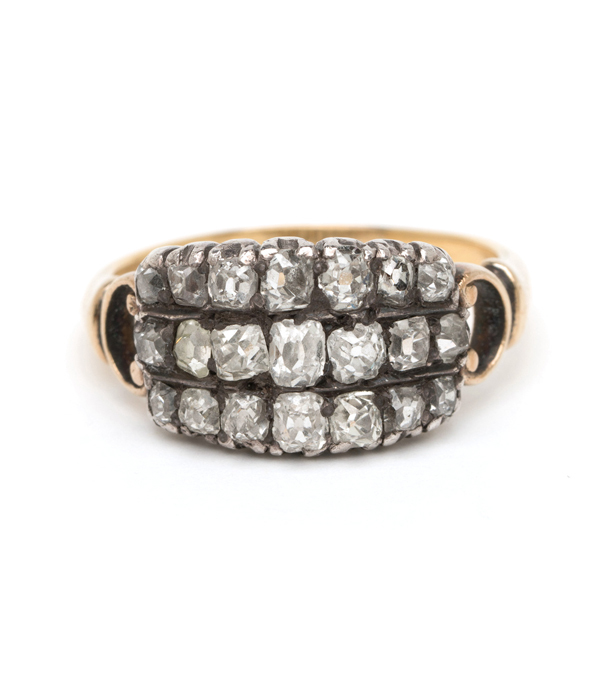 Categories: Antique Diamonds, Georgian Jewelry, Vintage Engagement Rings, Vintage Rings.